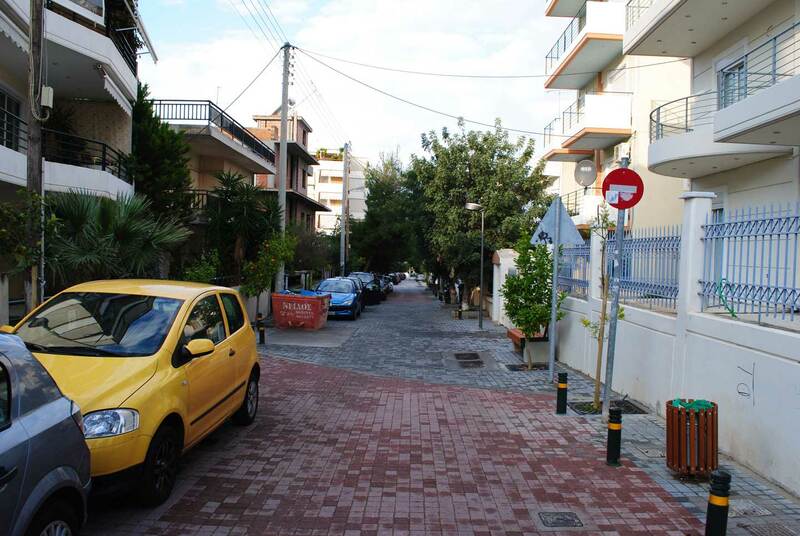 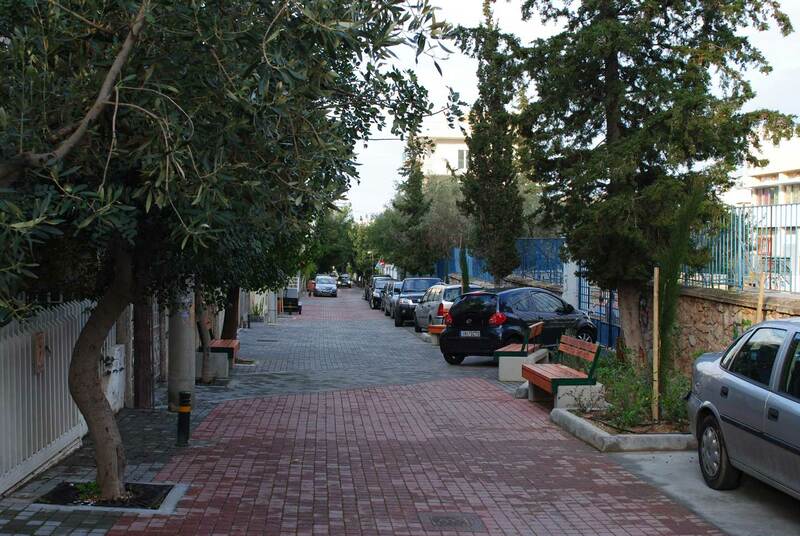 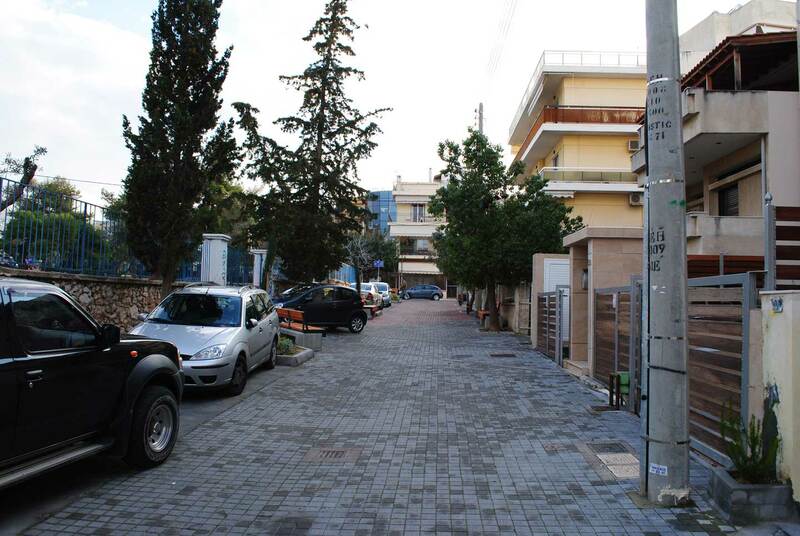 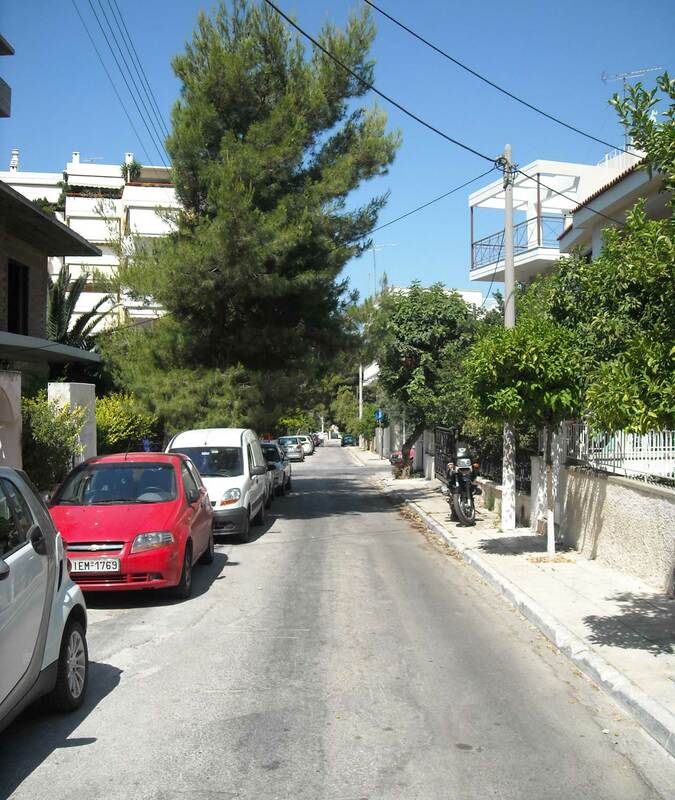 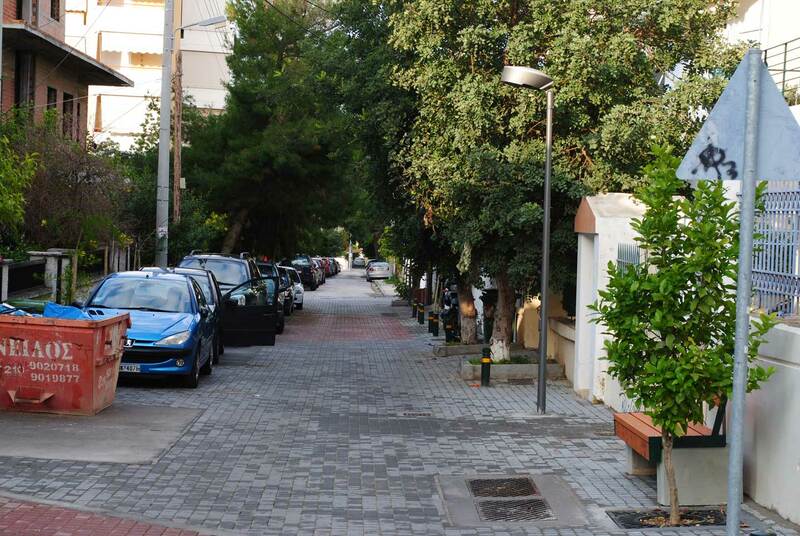 The philosophy underlying the regeneration of selected streets in Elliniko district and their transformation into "home zones" (or low circulation streets) is founded on the effort for a fairer allocation of the communal unbuilt space between the different groups of potential users, i.e. 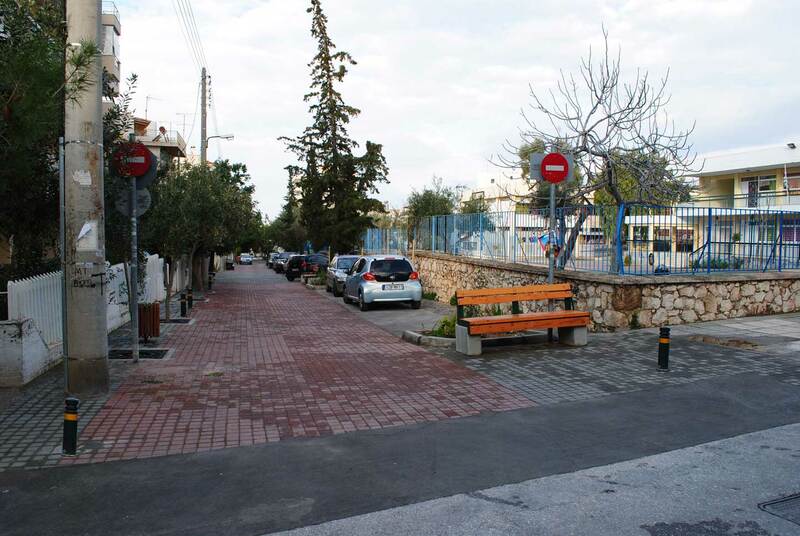 pedestrians, motorcyclists and drivers. 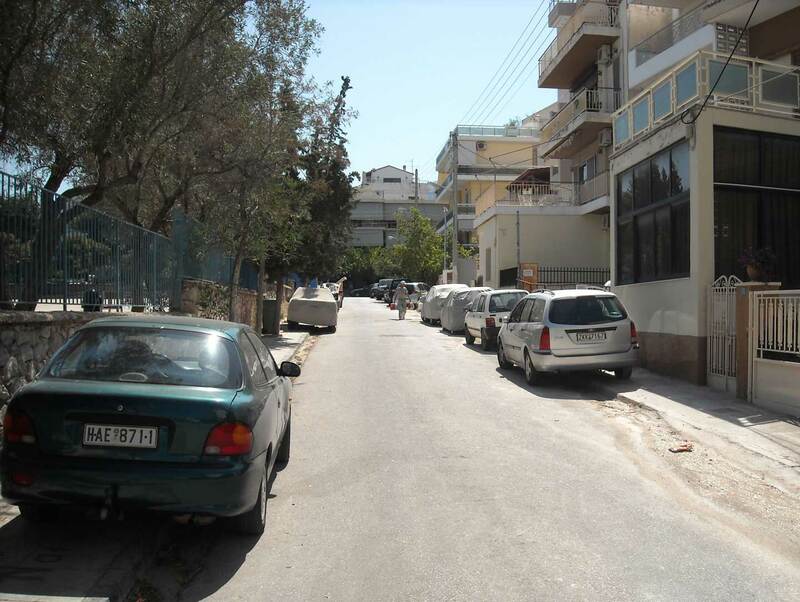 A "zig-zag" type of motion was created along the linear streets for all motor vehicles, with an aim to discourage speeding. 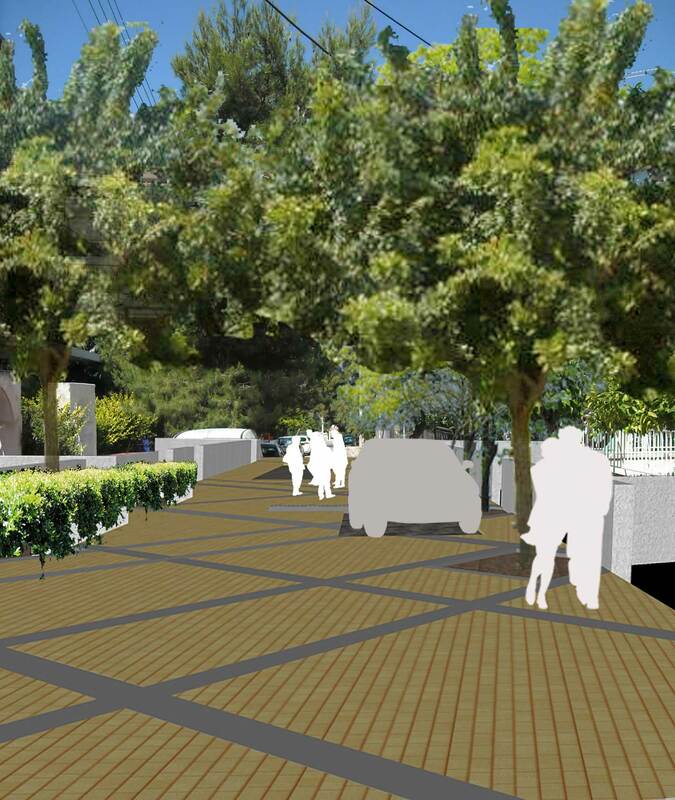 The building entrance points were embedded within the overall landscape design. 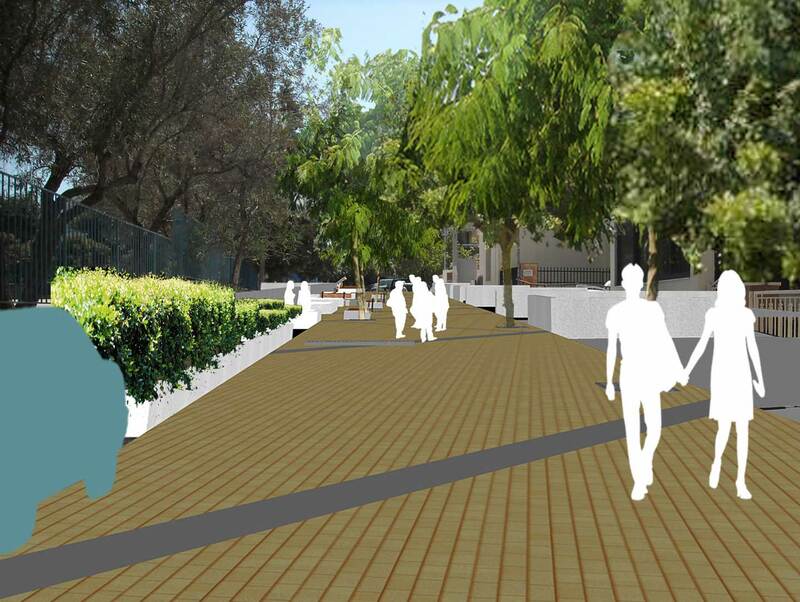 Vegetation was used to filter unpleasant views, to create green spaces and a general feeling of human comfort for the passer by.